At the Pan Pacific Hotel, there’s nothing we love quite so much as cruise ship season. When that first ship docks, it signals bluer skies and adventures to come! 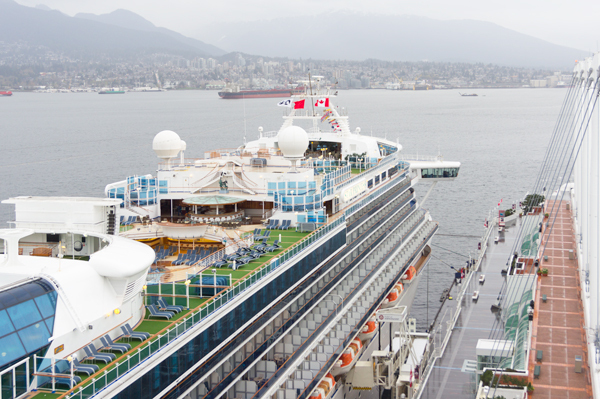 This morning, the Star Princess docked at Canada Place—the first of many ships that will be passing through the Port of Vancouver this tourist season. The Star Princess is a Grand-class cruise ship with a capacity of 3,100 passengers, weighing in at 109,000 Gigatonnes, and sporting 13 decks total. This magnificent cruise ship will be kicking off the season in style and taking its passengers on to Hawaii. 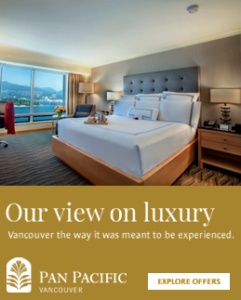 The Pan Pacific is conveniently perched atop Canada Place, a short elevator ride away from the cruise ship terminal, and we are offering a fantastic Alaskan Cruise Package this season. 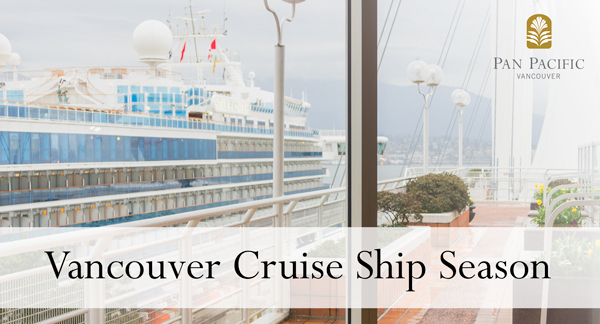 The package includes luxury waterfront hotel accommodations, a full American breakfast for two, late check-out, and complimentary luggage transfer to your cruise ship so you have time to explore the city. Wake up to a view of the glimmering port and ships in motion. Click here to view full offer details. If you’re in town for a family vacation this season, we are also offering an exciting new Family Package. The Ultimate Family Getaway Package includes Hop-On/Hop-Off West Coast Sightseeing tickets for four (two adults and two children), complimentary breakfast, self-parking, Wi-Fi, late-checkout, and a second room at a 50% discount. For those hungry kids of yours, there will be cookies and chocolate milk upon arrival, as well as a complimentary in-room movie. Don’t forget to bring your bathing suits to enjoy our outdoor salt water pool! Click here to view full offer details. For more information on any of our services or if you have any questions, feel free to give us a call at +1 (604) 662-8111, or toll-free at +1 (800) 663-1515. We look forward to seeing you!